The client was quite specific about the position of his pool. The main issue was that the it was to be situated on a steep gradient and therefore a retaining wall had to be built and a level area created. 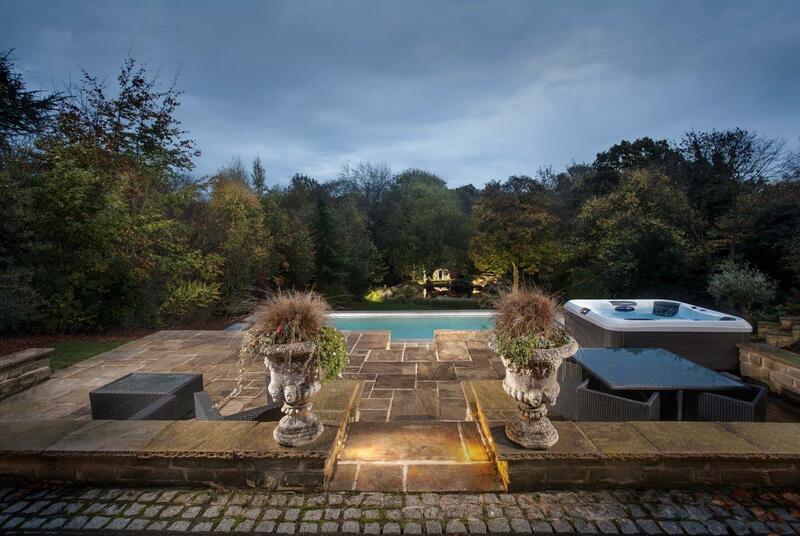 It was to be situated on the edge of the wall to give the illusion of an endless style pool over looking the beautiful grounds beyond. We selected the Compass XL Trainer 110 one-piece pool for ease and speed of installation. Despite the potential for issues, the project ran very smoothly and the one-piece installation made the job a lot quicker. Delivery of the pool shell was the only real problem encountered. To enable the pool to fit down the driveway a small portion of wall had to be removed and then rebuilt.